I have installed the front grill badge on my Lusso. I went with the red which looks great with the Grigio Moda color of the car. What do you other owners think? Very easy install. The part comes as a kit with alcohol wipe to clean the grill area. Glue and peel the tape off the back and fit into slot on grill. Press. That's it. Order it from your dealer. The other 124 forum has the part numbers and a large thread about it. Can you post the part#? It really does add little bit of color to the bland grill. Order from any Fiat Dealer. 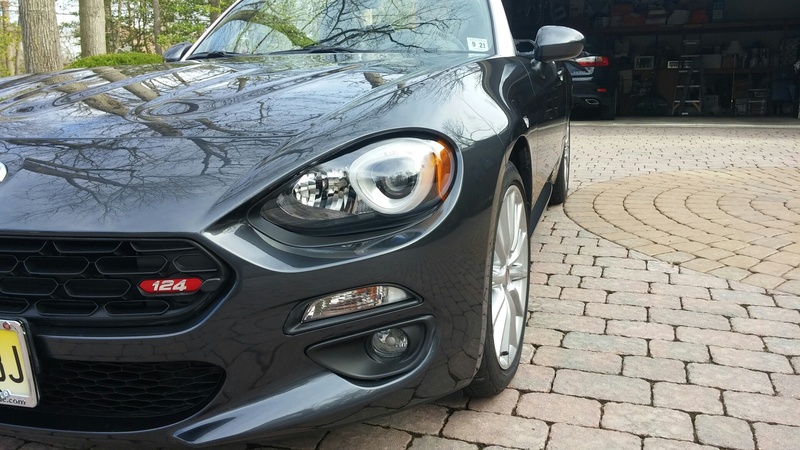 Just got my Fiat 124 Spider. I am loving it. I made my own front grill emblem. It's a self-adhesive domed sticker. I made several stickers to share them with forum members. If interested send me PM.